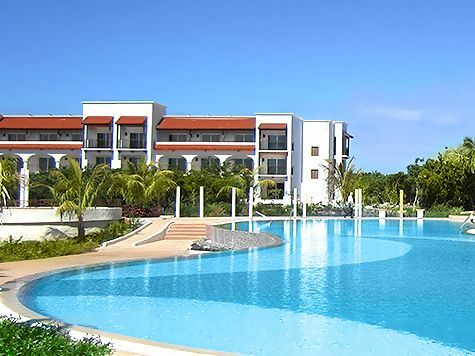 The Memories Azul Beach Resort is located in the heart of Cayo Santa Maria, an area renowned for its smooth stretch of velvety sands and naturally clear blue waters. Inviting scenery surround the Memories Azul, a resort inspired by the culture of Santiago de Cuba, and infused with hints of Spanish colonial architecture and design. The Memories hotels offer the stay at 1 play at 2! which means you may use all facilities of the Memories Paraiso Beach Resort and the Memories Azul Beach Resort. Beach Bar "Balcón del Caribe"
With an exclusive Diamond Club® membership, preferred guests will receive a host of additional privileges and amenities to pamper their needs and heighten their Memories stay. Memories Resorts is here to make your destination wedding dreams a reality. From our white sand beaches to beautiful gazebo locations, we are Cuba’s most romantic wedding option. Simply stated, our wedding planning services, provided by the experts at LUXE Destination Weddings set us apart from the rest. The team of certified destination wedding specialists is committed to providing you with the peace of mind that your wedding will be nothing short of spectacular. From a simple ceremony to a more detailed affair, it is our pleasure to help you plan your dream wedding away. We understand the importance of making your special day memorable and will do everything to ensure that your day is as perfect as can be! At this moment there is no public offer available for the "Memories Azul Beach Resort". Contact us if you want an exclusive deal for this accommodation.